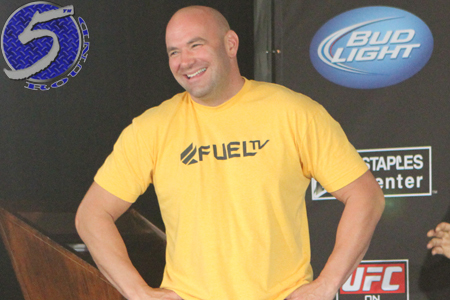 One of the best things about having Octagon events on back-to-back weekends – outside of having two mixed martial arts shows within a seven-day span, of course – is that UFC president Dana White’s (Pictured) video blogs recap the previous card while it’s still fresh in your memory banks. The most interesting pieces from the clip shows DaMarques Johnson and Ryan Bader inquiring how they found themselves unconscious on the canvas during their respective scraps. Zoinks! The Los Angeles Lakers must be upset to know their home has been relocated.